Cornwall’s wild moors, echoing coves, blustering cliffs and the folds of the hills hide a wealth of cultural and culinary experiences that go far beyond a day at the seaside. So forget what you know about Cornwall. Get beyond the beaches and away from celebrity seafood restaurants, pasties and cream teas to discover a region bursting with proud traditions, roguish history, strange delicacies, theatre, stories and song. Cornwall is a cultural melting pot. This is the second of our Guides that began with a look at the island of Madeira. They’re designed to help you get off the beaten track, to explore further and find the people, places and experiences that make somewhere unique. This walk, in Cornwall’s far west, is a one-hour journey through the remnants of a once great mining industry. 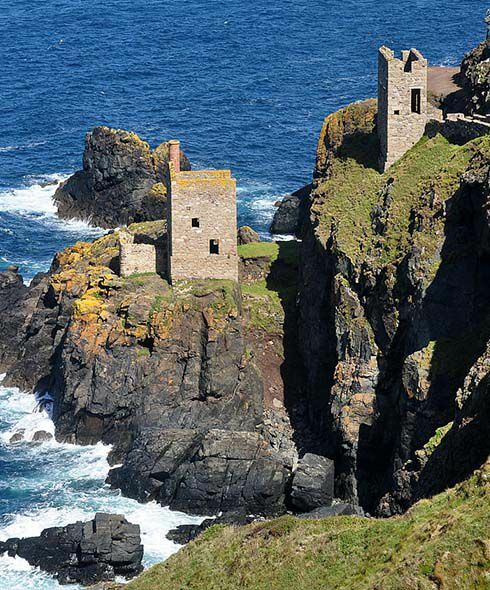 The crumbling engine houses, clinging to the cliffside, hint at a Cornwall that’s long since passed into tale and song. You begin from the Count House at Botallack and wind your way through the imposing granite buildings and out onto the cliff path. 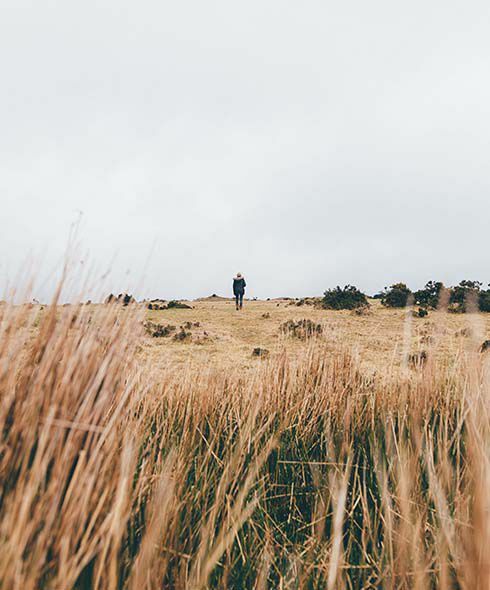 As you climb into the hills, you find yourself in wildflower meadows, looking out at the towering cliffs and crashing waves that also play a rich part in Cornish culture and folklore. 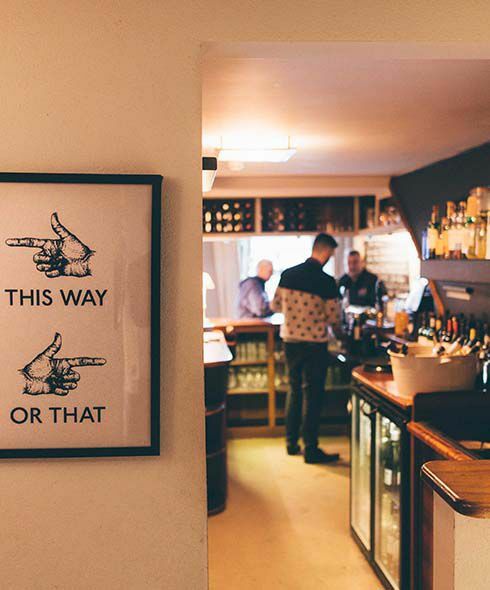 Cornwall has some very famous specialities and no shortage of chefs serving up fine food in exclusive bistros, but the locals know there’s a rougher, simpler side to local food and drink. 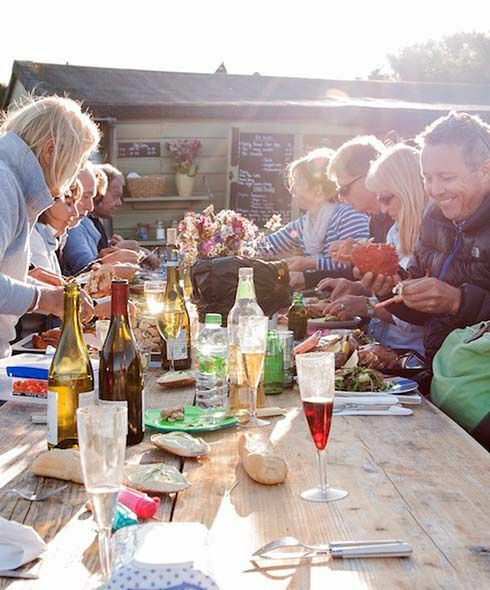 Throughout the year, feasting and pop-up events serve field-to-plate dishes in unpretentious surroundings from beachside to barns – a truly unique way to enjoy Cornwall’s famed produce. Local folk musicians and wood smoke fill the air at dusky feast nights hosted in the courtyard of Nancarrow. Guests mingle whilst enjoying a seasonal tipple before sitting down at communal benches to enjoy something tasty from the grill. This is about as far from uptight fine dining as you can get. It’s BYO everything, apart from a table. It sounds sparse, but when you’re eating fresh, perfectly-cooked seafood with the sound of the surf fizzing onto the beach as the sun goes down, you feel pretty well catered for. These dedicated growers supply some of the best restaurants in the county, even taking commissions to create veg of specific sizes. You can learn from the masters on courses that range from simple recipes to building your own propagator and seasonal planting. 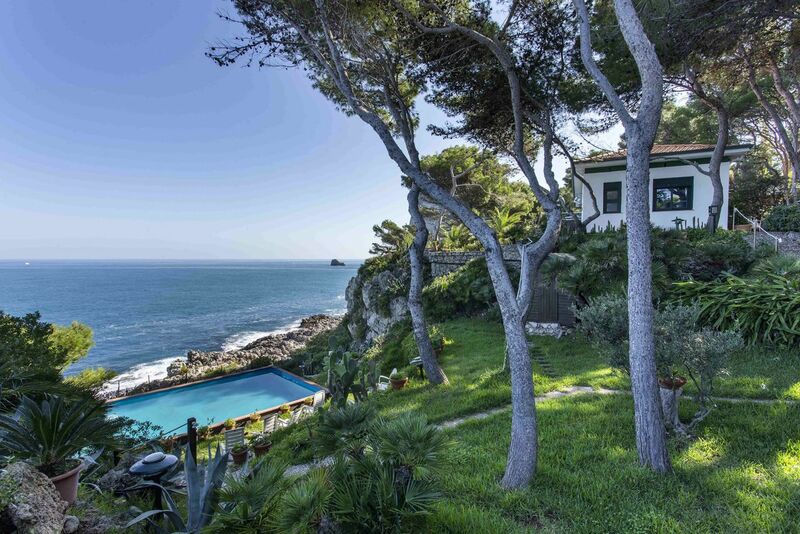 The best holidays perfectly blend getting far from the madding crowds with immersing yourself in some characterful local haunts. Cornwall instantly evokes a mental image of sandy beaches, but the brooding expanse of Bodmin Moor has a quiet drama all its own. With deep valleys, streams criss-crossing meadows and birds of prey hovering alertly over the tussocky fields. Head out from the village of Minions on foot towards the Cheesewring, a mysterious and ancient rock formation. Cornwall has a fine musical tradition thanks to a sea-faring heritage and a cultural love of singing. Although, the tunes have outlasted the language in many cases. For a taste of the blend of Old English and Celtic sounds, look out for music nights at The Ship Inn, in Porthleven harbour, or The Cadgwith Cove Inn’s Friday nights with the Cadgwith singers! It may be hard to reconcile with Cornwall’s current image of sleepy isolation at the foot of the country, but there was a time when it was the hub of global commerce and communication. In 1870, an undersea telegraph cable was laid linking Porthcurno to India and suddenly, messages that had been delivered over weeks and months by ship could now travel the same distance in minutes. Porthcurno was soon the biggest and busiest telegraph cable station in the world, adding links to the US and mainland Europe to become the gateway to the British Empire. This is all commemorated in the award-winning Telegraph Museum, which gives you a revealing picture of this little known and exciting period of Cornish history. After visiting, you can balance out the serious, cultural part of your day with some rather more informal pursuits at nearby Pedn Vounder, one of Cornwall’s unofficial nudist beaches. The Cornish have a long tradition of song and theatre as well a great passion for the countryside. These are combined perfectly in the spectacular, open-air Minack theatre, carved into the cliffs above Porthcurno, and a huge variety of nomadic, spontaneous and creative performance groups that bring cultural adventure to every corner of the county. Theatre companies like Kneehigh, Rogue and Miracle often perform in Cornwall and Carn to Cove, a volunteer group of performers, musicians and actors, stage all sorts of lively events in even the smallest villages. So remember to check, wherever you’re staying, because there’s a good chance that Cornwall will be bringing the curiosity to you.